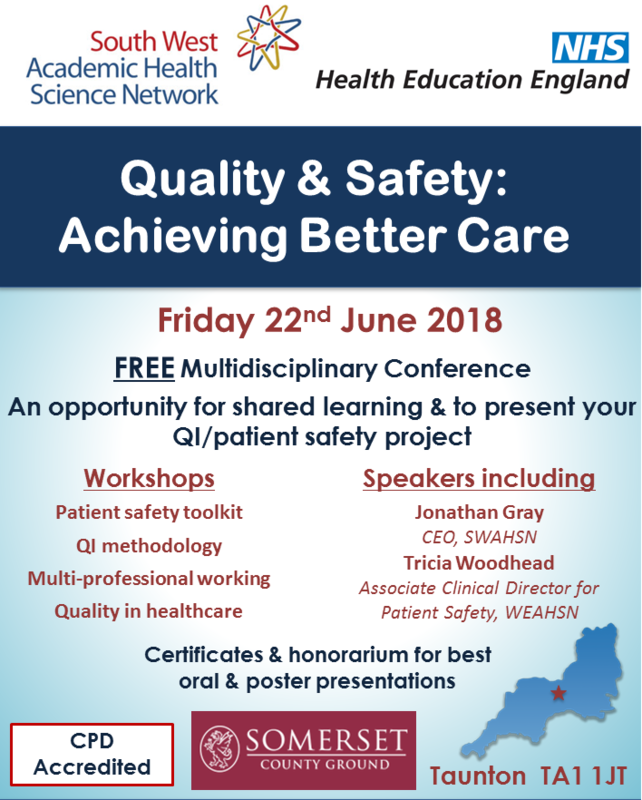 Health Education England – working across the South West and the South West Academic Health Science Network are again working together to organise their Annual Quality Improvement Learning Seminar – ‘Quality & Safety’: Achieving Better Care. This is a free multi-disciplinary conference and a chance to present your Quality Improvement/ Patient Safety project. For more details including abstract submission form, follow webpage link.